When looking at Ultrasonic Sensor Technology one of the most problematic areas of application is false positive outputs due to a large operating angle. It is not uncommon to have an Ultrasonic Sensor in an application where the sensor has such a large degree of operating angle that the senor is detecting an object other than the desired target. In my past blog post I explained in detail the “Blind Zone” and how important it is to understand your minimum working area. In the video below you’ll see that Ultrasonic Sensors can offer a tight precise “Operating Angle” that detects a desired target without detecting other obstacles that may be present within the application area. 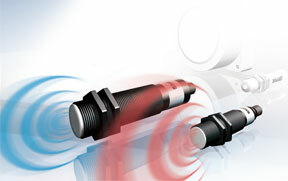 For more information on these Ultrasonic Sensors, click here. When an application calls for an Ultrasonic sensor it is very important to understand the principles of operation. The most important question in sensor selection… what is the operating distance needed? How far away can I be from the target? Understating “The Blind Zone” will be the key to selecting the proper sensor for your application. “The Blind Zone” is the shortest permissible sensing range. This means that no objects or targets are permitted within the minimum working area (“Blind Zone”) as this would false trigger the sensor. For example we have an application where we need to see our target at 80mm away. We could select a sensor that has an operating distance of 20….150mm. This means we can see our target down to a minimum distance of 20mm and a maximum range of 150mm. anything below the 20mm is the “Blind Zone” and out of our working range of 20…150mm. This is determined by the blind zone of a sensor. No objects or are permitted within the blind zone, since this would cause faulty measurements or readings. So as you can see it is very important to understand your minimum working area and where the “Blind Zone” begins within the working range of the senor. If you have any questions on this topic or other questions on Ultrasonic sensor selection, please leave a comment below. Hardly a day passes by where we are not contacted by a desperate end-user or equipment manufacturer seeking assistance with a situation of sensors failing at an unacceptably high rate. Once we get down to the root cause of the failures, in almost every case it’s a situation where the specific sensors are being applied in a manner which all but guarantees premature failure. Not all sensors are created equal. Some are intentionally designed for light-duty applications where the emphasis is more on economical cost rather than the ability to survive in rough service conditions. Other sensors are specifically designed to meet particular challenges of the application environment and as a result may carry a higher initial price. Honestly, every day we run into one of the most commonly seen and vital categories of automation equipment imaginable on the factory floor – the good old automation stalwart servant, the feeder bowl. 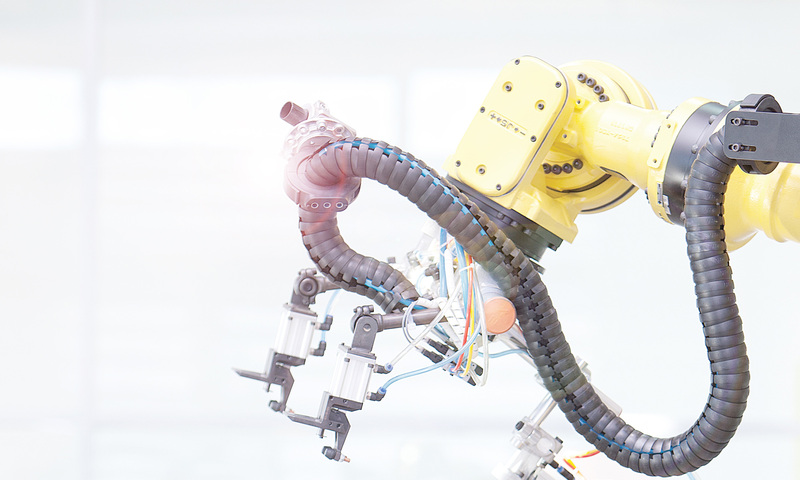 These devices are imperative to successful automated assembly processes and are used in hundreds of applications in factory automation. But the successful and timely, synchronous delivery and individual of components provided by the feeder bowl from the bowl itself through the feed track system, is dependent on reliable sensing. If “clogs” or traffic jams occur anywhere in the pathway, it interferes with the overall timely assembly of goods, regardless of the industrial discipline. We see a wide array of sensing technologies from manufacturer to manufacturer, regardless of the country of origin, regarding sensing in these machines. Inductive proximity sensors, ultrasonic sensors, photoelectric types are all integrated into the tracking of screws, nuts, washers, and a wide array of other metallic and non-metallic sub components fed into the manufacturing stream. One of the most common products used in sensing components being supplied through feeder bowl tracks even today, is the separate amplifier and armor jacketed pair of fiber optic emitters/receivers. Do they work? Absolutely. Do they fail? Absolutely. Ultrasonic sensors can detect objects that many traditional sensing technologies cannot because of their ability to see targets regardless of color, transparency and surface texture. Even in dusty, humid, or hazy environments, they may be the only sensor that is able to provide the desired results. Ultrasonic sensors are often used in liquid level measurement applications and detecting clear films. Ultrasonic sensors emit a burst of short, high frequency sound waves that propagates in a cone shape towards the target. When the sound waves strike the target, they are bounced back to the sensor. The sensor then calculates the distance based on the time span from when the sound was emitted until the sound was received.